Campaigners for improved health and welfare in dogs (in England at least) will not be at all disappointed with DEFRA’s initial dismissal of CASJ’s call for an Animal Protection Commission. Not disappointed sadly, because it is what we have come to expect. We have lever-arch files and inboxes full of similar correspondence, all making the same spurious claims. We are all too familiar with ministerial insistence that: the Animal Welfare Act (AWA) 2006 is sufficient protection for dog welfare; there is no need to consolidate the piecemeal legislation, nor update longstanding laws; local authorities have all the power they need to enforce better breeding and ownership of dogs; DEFRA and the Chartered Institute of Environmental Health have issued more than adequate guidance; and, political channels for effective consultation and implementation are in place through such structures as the Animal Health and Welfare Board of England (AHWBE). That government stands by this, in the case of dogs, is disconcerting because a not-insignificant amount of parliamentary time has been invested in exploring dog welfare and bringing the key issues to their attention. But to what effect? In 2003 the Companion Animal Welfare Council set up its inquiry into the welfare issues attached to selective breeding with a published report in May 2006. The Associate Parliamentary Group for Animal Welfare (APGAW) led an inquiry into dog health in 2009 and published a full report. The Bateson Inquiry funded by Dogs Trust and the Kennel Club reported in January 2010. As recommended by Bateson an Advisory Council for the Welfare Issues in Dog Breeding (DAC) was established in 2010 whose remit was to provide independent, expert advice and make recommendations including advising on appropriate regulation. That was followed up by the House of Commons Environment Food and Rural Affairs (EFRA) Committee inquiry into Dog Control and Welfare resulting in a debate in the main chamber in June 2013. Therein, ample opportunity was provided to explore the welfare issues attached to dogs, work up actions to address them and elicit political buy-in. Both the EFRA committee and DAC concluded that consolidation of dog law, together with secondary legislation under the AWA 2006 was needed to secure better welfare goals for companion dogs. In 2013, running alongside these traditional yet frustrating (there still has been no consolidation nor secondary legislation) parliamentary routes to policy improvement a campaigning vet, Marc Abraham, decided that another tactic might prove more fruitful in tackling one pressing welfare issue in dogs. That of unscrupulous intensive production of puppies for the pet market, commonly but unhelpfully referred to as puppy-farming. In May 2013 Abraham launched an e-petition calling for a ban on the sale of youngpuppies and kittens without their mothers being present, and within six months had received over 111,000 signatures, enough to trigger further action. Now, Angela Roberts points out that e-petitions are proving to be no more than a sop to public opinion as their outcomes are not legally binding and government appears deaf to them. That may well be the case. The life of this e-petition and its resultant debate in the main chamber, however has been revelatory. For as well as amplifying the message that animal welfare is an issue taken very seriously by the public and reiterating the need for more explicit protection and increased resource for effective enforcement, it did something else. I accept e-petitions may just be sops but the speed with which Abraham’s petition reached the requisite 100k signatories, the profile it achieved within the dog campaigning community, and its highly successful #wheresmum social media campaign meant it gathered some disruptive power, which though limited, may well be extremely valuable to dogs. That power is located not in its ability to rattle government, (as suggested by Angela e-petitions tend not to rattle Government) but in the fact that its momentum rattled the existing stakeholders such as welfare charities and the pet trade. Stakeholders that perhaps, and I am just surmising here, perhaps, had become inured by those prevaricating ministerial mantras. Initially Marc Abraham’s petition did not enjoy public support from the RSPCA, Dogs Trust, or DAC. It was driven by Marc himself, and a growing body of entrepreneurial campaigning micro-organisations such as CARIAD, ones that are not shackled to corporate interests nor limited by outdated charitable objects. As the petition gained momentum the welfare charities began to express their support and in the final debate were recorded as backing the motion. This expression of support, made late in the day, in turn rattled the pet trade, not least because some of the very same stakeholders such as the Dogs Trust, that now support a ban on selling puppies in pet shops, were only very recently engaging in collaborative drafts of CIEH guidance on pet vending licencing conditions. Guidance that allows for the sale of puppies in pet shops. The Dog Advisory Council has never called for a ban on pet shop sales either but thanks to Marc, now they do. So if nothing else, his petition did at least secure a change in heart amongst key stakeholders. This petition began to shape the agenda, and it is an agenda that really does need shaping. I have long argued that what dogs need is strong leadership and a coherent strategy if their welfare is to be protected adequately and I have argued that we should be concerned that despite long, illustrious stakeholder histories (dates they were established respectively are RSPCA 1824, Kennel Club 1873, Dogs Trust 1891) dogs are still yet to benefit from coherent legislation and effective enforcement. In his review (published September 2014) of the RSPCA’s prosecutions work Wooler concluded similarly, in stating that the role of the RSPCA now “owes more to history than strategy”. The exact same thing can be said about all mainstream dog welfare organisations. There has never been a “dog strategy”. There is no overall leadership on this matter even with the “independent” DAC. In the absence of both a welfare strategy and strong leadership it is no surprise that the puppy and kitten e-petition, as singular as it was in its focus, grabbed the attention of the pet loving community. There is one final observation to make about these recent dog-related political activities. In both the EFRA inquiry debate and the e-petition one, backbenchers let slip a very worrying characteristic of our democratic process. That even if calls for consolidation of legislation are heeded by ministers, the civil servants will advise and counsel against it. The civil servants? That revelation felt quite sinister to me and in its light the CASJ’s proposal for “a joined-up” approach to animal welfare involving “deeper, structural changes” no longer seems desirable, but absolutely essential. Government may have relied on the complex machinations of Westminster to create a mirage of meaningful political activity and they may hope e-petitions remain a sop. I would argue those are dangerous assumptions on which to proceed towards a general election. E-petitions are a great deal easier to understand by the public and failure to listen to them will be very obvious to those of us that have taken part. Petitioners and campaigners like me remain thirsty for political change but are beginning to wonder, given that it is proving so very difficult to secure, that may be all this time we have just been drinking the sand. Parliamentary candidates be aware: an electorate that draws that conclusion is a very different beast from one that does not. If you live in the United Kingdom you are invited to take part in a survey being conducted by Anthony Raynor, currently based at Newcastle University. 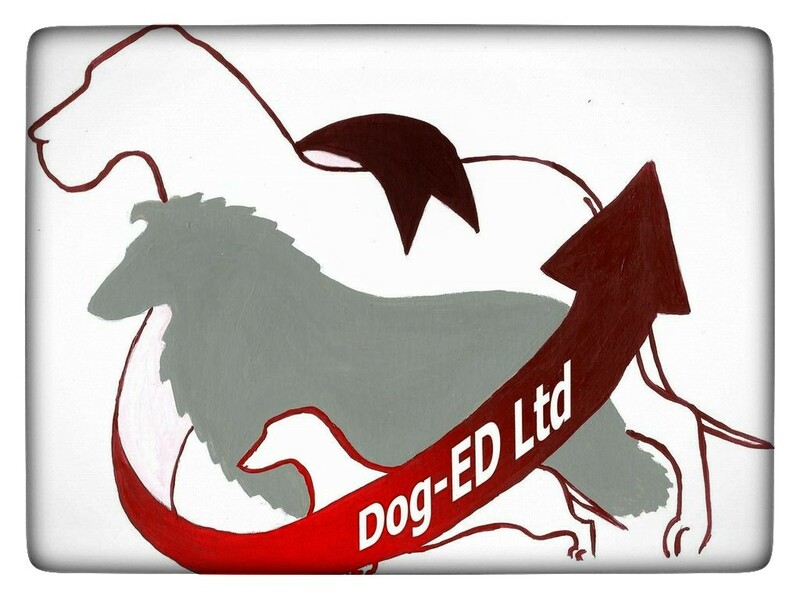 The aim of the study is to assess and evaluate knowledge and perception of UK dog related laws. The survey consists of 12-20 questions and takes between 8 – 10 minutes to complete (dependent upon responses). Your responses are completely anonymous and any information gathered will be used solely for the purpose of this research topic in accordance with the Data Protection act 1998. How the new UK Dog Laws affect owners and guardians. A Slideshare by Theo Stewart and Lisa Tenzin-Dolma.